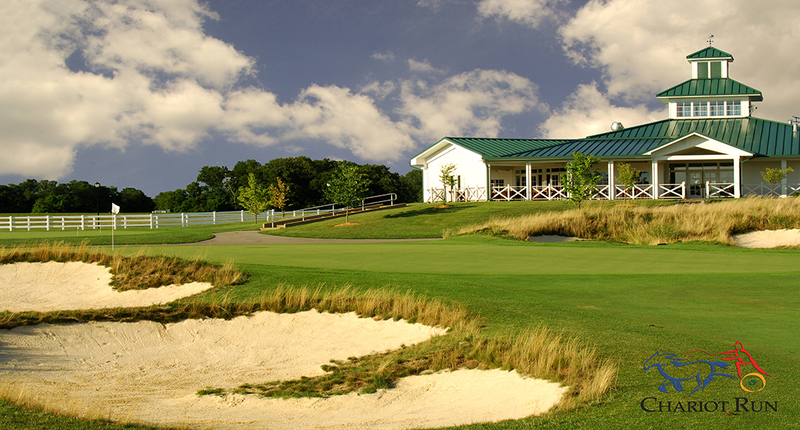 This 18-hole equestrian themed golf course boasts over 7,200 yards of golfing. Bent grass, sparkling lakes, lush fairways, and trees make for a relaxing and picturesque outing. This course is outfitted with four sets of tees and PGA Tour condition standards. 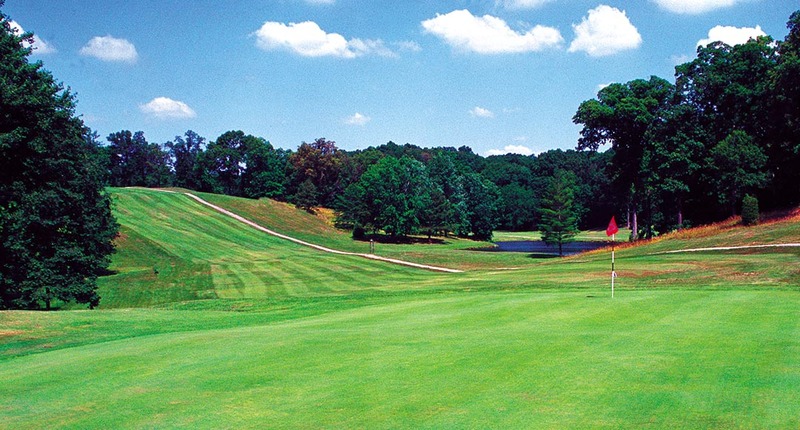 This full-size championship golf course is nestled in the countryside. As a former old country farm, it’s full of charm and character. You can see the original silo standing tall from the greens. 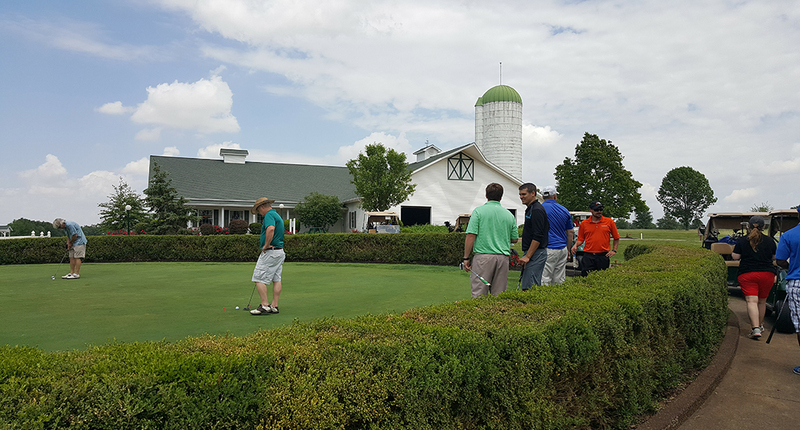 Indiana Business Magazine rated this course as the seventh most challenging course in the state! The tree-lined fairways, rolling hills, valleys, and water features offer a serene golfing experience. The front nine are relatively flat with the back nine being more hilly. These epic courses were designed by Donald Ross, Pete Dye, and Tom Bendelow. Each course is tucked away in the wooded hills. 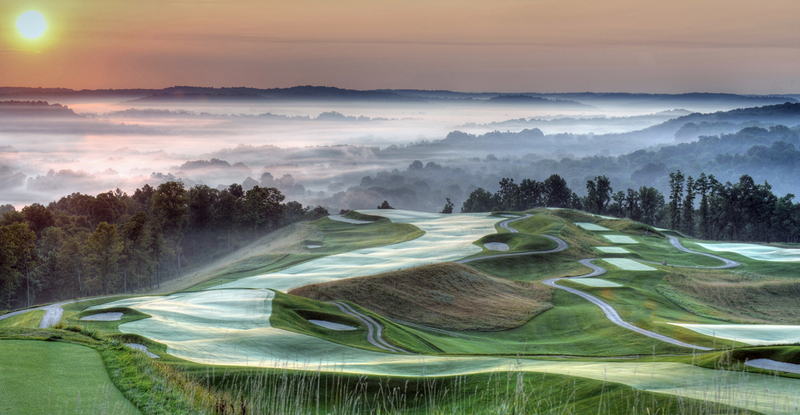 Built on some of the highest elevations in the state, golfers get gorgeous panoramic views of Southern Indiana for miles. This course welcomes all levels of players. The elevation changes, bedrock bottomed creek, and abundant trees make it one of Southern Indiana’s favorites. 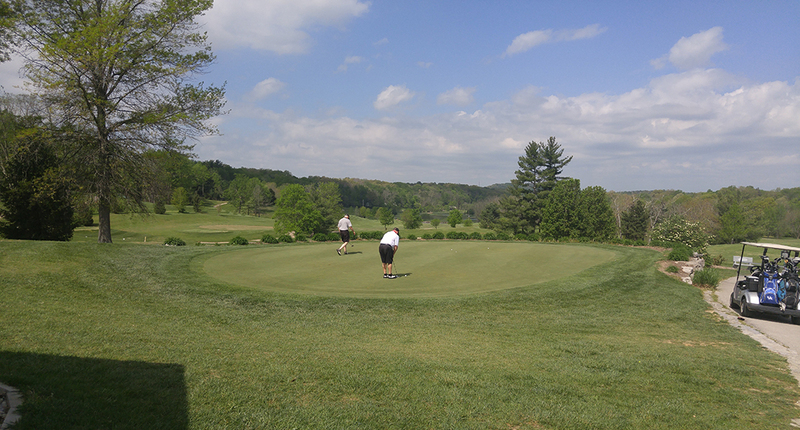 Many courses in Southern Indiana even offer play and stay packages. Gather up your fellow golfers and come down home for a golfer’s getaway.